Pixar/The Ellen Show‘Finding Dory’ contains a huge underwater cast of new and returning characters. “Finding Dory,” the long-awaited follow-up to 2003’s “Finding Nemo,” lives up to the hype. 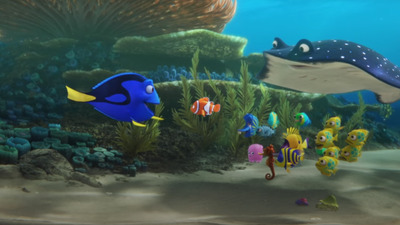 Set one year after “Finding Nemo,” “Finding Dory” finds Marlin (Albert Brooks), Nemo (Hayden Rolence), and Dory (Ellen DeGeneres) living together in harmony in the coral reef. 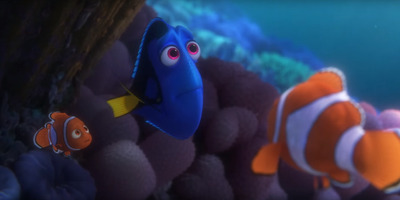 That is, until one day Dory, still suffering from short-term memory loss, suddenly has memories of her long lost parents. “Finding Dory” stands out as a great sequel because it is a continuation, rather than just a repeat of the original. It is a brand new story that also allows characters you maybe grew up with to change and grow. 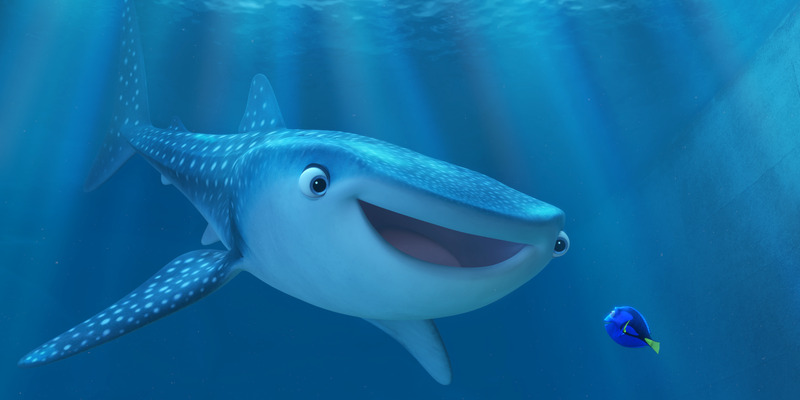 “Finding Dory” is great because it shows what Pixar is best at: creating great characters. It sounds simple, but it’s not easy to do, and it’s what makes “Finding Dory” succeed as both a sequel and a movie. Dory is more than just a fish with short-term memory loss. PixarThe sequel to ‘Finding Nemo’ focuses on Dory (Ellen DeGeneres). It would have been easy to make Dory a one-note character. Sure, there are some jokes at her expense. But the movie always highlights not just her downfalls, but her abilities. For instance, she knows that an octopus has three hearts and, for some reason, she can speak whale. Instead of feeling like a cash grab, this sequel is used to dive into her backstory. We learn that Dory is a misfit, hopping around from school of fish to another her whole life. Learning all this makes both “Dory” and “Nemo” all the better. Even the most minor characters are important. PixarAmong her many hidden talents, Dory can speak whale. 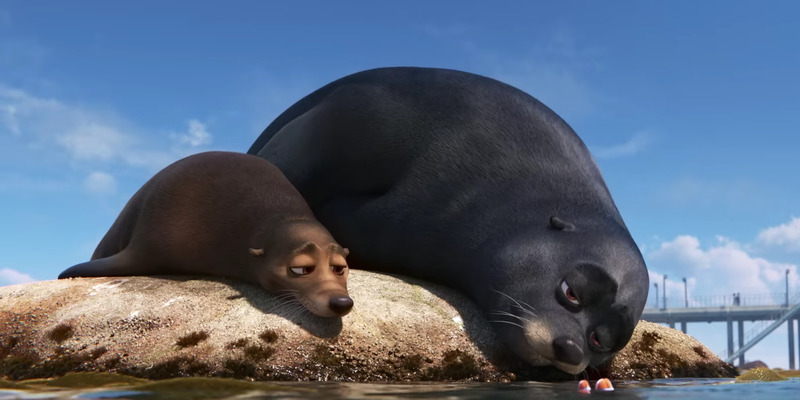 “Finding Dory” replaces nearly all the characters from the original with new characters, including a stubborn and angry octopus (Ed O’Neill), two goofy whales, and a trio of sea lions. I could watch a spin-off starring any of these characters, and that’s how you know they’re good. Every character has a story. Take for instance, the three sea lions. Fluke (Idris Elba) and Rudder (Dominic West) have one simple objective in the movie: to hang out on a rock and keep off a third, very weird seal. That is their whole story, and like Dory’s, it could have been a one-note gag. Instead, it feels like a short movie tucked within a larger movie. There’s also a great scene where Marlin and Nemo end up in a pond with a lonely clam. The clam mentions that he’s been alone for years and that his wife left him. It’s a funny, fleeting moment but the fact that the directors and writing team decided to give a backstory to even the most minor character says so much about how much Pixar cares. It doesn’t further the plot, but it makes the movie richer. This is what separates Pixar from everyone else. What largely makes “Finding Dory” so watchable, and so fun, is its profound respect for every living creature’s story. That should be the Pixar motto. Even the smallest background character can find its way into your heart. “Finding Dory” will be out in theatres on June 17.